Some Antarctic fish living in the planet's coldest waters are able to cope with the stress of rising carbon dioxide levels the ocean. They can even tolerate slightly warmer waters. But they can't deal with both stressors at the same time, according to a study from the University of California, Davis. The study, published recently in the journal Global Change Biology, of emerald rockcod is the first to show that Antarctic fishes may make tradeoffs in their physiology and behavior to cope with ocean acidification and warming waters. "In dealing with climate stress, these fish are really bad multi-taskers," said senior author Anne Todgham, an associate professor with the UC Davis Department of Animal Science. "They seem quite capable of coping with increases in CO2, and they can compensate for some warming. But they can't deal with both stressors at the same time. That's a problem because those things happen together—you don't get CO2 dissolving in the ocean independent of warming." 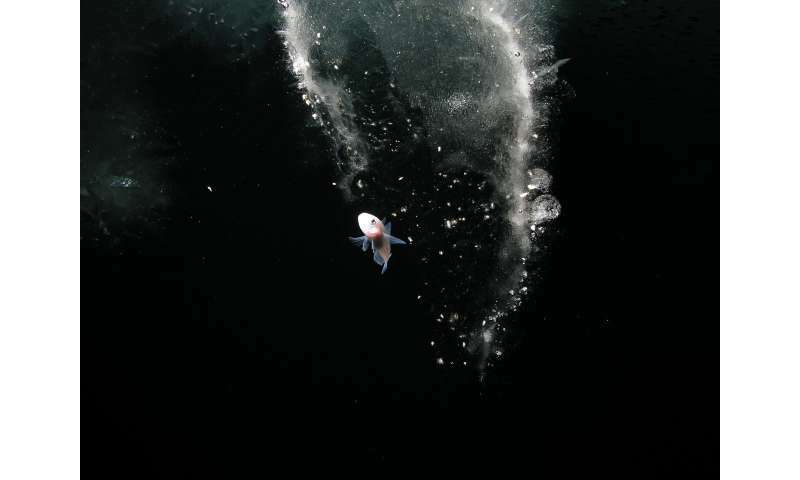 Antarctic fishes live in water that is typically about -1.9C (28.6F). At their field site in Antarctica, the authors exposed emerald rockcod to two temperatures: -1 degree Celsius (30F) and 2 degrees Celsius (36F). The latter is the threshold for global warming that the Paris Agreement targets to prevent the most catastrophic impacts of climate change. They also exposed the fish to treatments of three different levels of CO2 ranging from ambient to elevated projected levels. Increased CO2 levels by themselves had little impact on the fish. After a couple of weeks, heart, ventilation and metabolic rates increased with warming. Their behavior also changed with warming. The fish swam less and preferred dark zones, which suggests they were attempting to conserve energy. 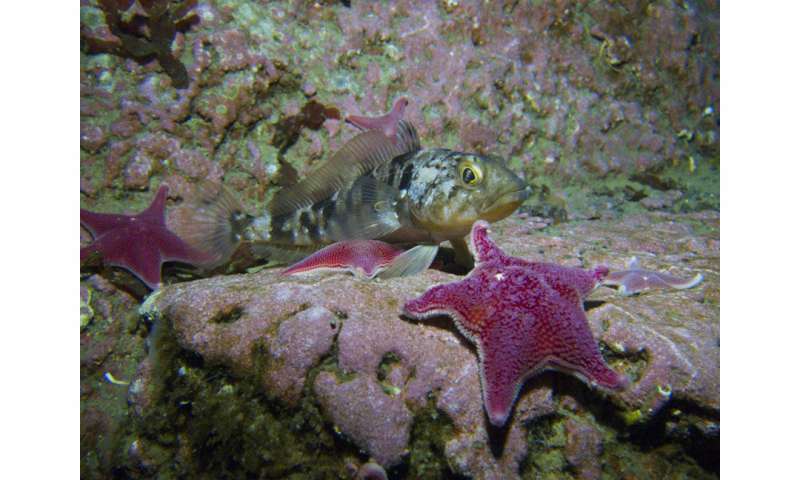 Then after 28 days, juvenile rockcod were able to compensate for the warming temperatures. However, this temperature compensation only happened in the absence of rising CO2. Emerald rockcod help form the basis of the Antarctic food web, supporting an ecosystem of species such as Emperor penguins and seals. "The Antarctic has contributed very little to the production of greenhouse gases, and yet it's one of the places on the planet receiving the most impact," Todgham said. "I feel we have responsibility to care about the spaces that are so fragile. If we can provide reservoirs of areas that are less stressful to plants and animals through protecting natural places, we can buy ourselves some time to deal with things like climate change that will take a long time to get in line."